October 7, 2014, New York – Fashion One, the premier international fashion, entertainment and lifestyle television broadcaster, is proud to announce its partnership with one of the biggest professional fashion events in Russia, St. Petersburg Fashion Week SS15. The network is the Official International Partner of the 4-day event that was recently broadcasted online via live stream telecast on the network’s websiite. In the Northwest region, St. Petersburg Fashion Week took place, featuring ready-to-wear collections of Russian and foreign designers. Showcasing Spring Summer 2015 collections from Polina Raudson, HARLEN Fashion House, Anna Ovchinnikova and Fabric Fancy, with overseas guests from Baltic countries, Serbia and Belorussia, the event also provided the opportunity to present the graduation collections of top-rank designing schools such as the Department of Costume Design, St. Petersburg State University of Service and Economics, the International School of Design, and Mod Art St. Petersburg. As an Official International Partner, Fashion One have covered all the highlights from the runway shows, behind-the-scenes as well as interviews from local designers and models in this most sought after fashion event of the year. Aside from the broadcast agreement, the network also extends its collaboration to the online, offline and social media promotions of the fashion week. "Fashion One is our traditional and one of our most important international partners of St. Petersburg Fashion Week,'' says art director of the St. Petersburg Fashion Week and chairman of the Fashion Syndicate St. Petersburg Supervisory Board, Nikita Kondrushenko, " Such a collaboration provides a brilliant opportunity to introduce our famous designers to the broad international community, as well as the ones who just have made their first steps in the fashion scene." "We are proud to showcase Russia’s international and local designers in a global platform through our partnership with St. Petersburg Fashion Week," states Ashley Jordan, CEO of Fashion One. "With increasing investment in local production, the network will continue to develop more content for the local audience." St. Petersburg Fashion Week Spring Summer 2015 was live streamed last October 2-5, 2014 exclusively at www.fashionone.com. 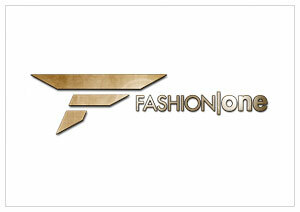 The event will soon be featured on Fashion One’s Fashion Focus program block. Official broadcast schedule will be announced later this year.